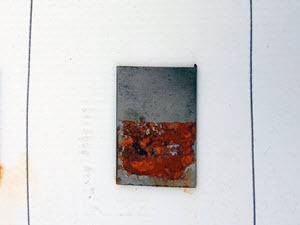 Corrosion prevention is key to a flawless project and using an excellent corrosion inhibitor is one way to achieve that. 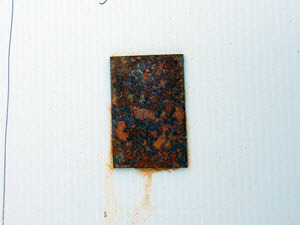 Many corrosion inhibitors are limited in their scope, too difficult to use, or simply don’t work. We at Precision Piping Products have a corrosion inhibitor that will revolutionize the way you look at corrosion prevention. P3-CI™ works in any environment, indoors and outdoors, and can be brushed on, sprayed on or wiped on. In our testing, it has performed over 13 times better than the leading corrosion inhibitor outdoors, and even better indoors. It can be cleaned off with a solvent, like denatured alcohol. On top of all that, P3-CI™ is non-flammable so it’s easy to ship and safe to store. P3-CI™ can even be used with our flangeDOTS® for an extra layer of protection. Add flangeBUMPERS® and multiNUTS™ and you now have the best protection and preservation available on the market. Even after a few days in an extreme environment, the difference is staggering, and the results will improve your project’s performance!